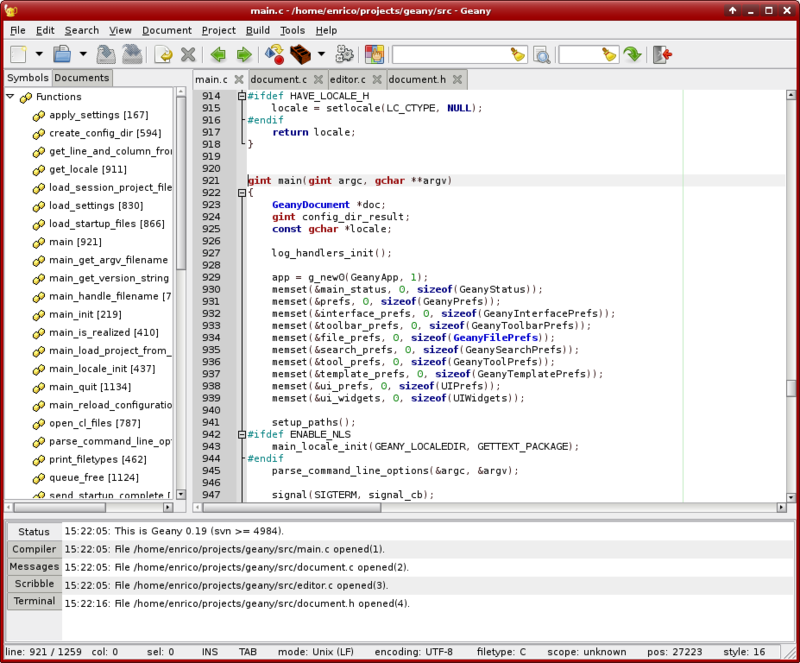 Geany is a small and lightweight Integrated Development Environment. It was developed to provide a small and fast IDE, which has only a few dependencies from other packages. Another goal was to be as independent as possible from a special Desktop Environment like KDE or GNOME -- Geany only requires the GTK2 runtime libraries. I’ve tested out many GUI editors on Ubuntu and I have to say that Geany is hands down my favorite. Your needs may be different but it suits mine really well. I like it a lot too. I use it for editing R code, and it’s the only editor I know of that has both R syntax highlighting and autocompletion – two things I really want. For me it’s one of the best editors for programmers. It’s very quick, stable and reliable since many years ago (I can’t understand why it is not in 1.0 version already) and like the article states it has a lot of features. I use it everydays to develop with python. Also, Geany mailing list is very helpful when you have a problem, idea or suggestion.